Since most of us grew up in a culture that treats negotiation and conflict resolution as forms of competition, we have much to learn about how concerned parents and school officials can better communicate and resolve conflict. In this article, we present several exciting and challenging possibilities for improving collaboration and conflict resolution skills. We aim to present "what works" in conflict resolution between parents and educators. The concepts presented here may be useful to parents and educators in direct collaboration, or in mediation. They may also be used in training students and others who wish to work as mediators with parents and educators. The goal in all cases is to resolve issues in ways that will benefit the child and endure. Such cooperation not only supports the child, but also supports the essential ongoing relationship between parents and schools. Developing a quality relationship between educators and parents promises to pay continuing dividends into the future. Conflict arises when one or more participants views the current system or relationship as not working! At least one party is so dissatisfied with the status quo, that he or she is willing to speak-up in hopes of improving the situation. It is no accident that we most often find ourselves in conflict with those with whom we spend the most time -- family, friends, and colleagues. In addition to our closeness, we all have different perceptions of a situation and interpret our perceptions in terms of our sometimes different beliefs and values. It is important to recognize that educators and parents bring different perceptions and beliefs to most situations. What is "true" for one, may not be "true" for the other. 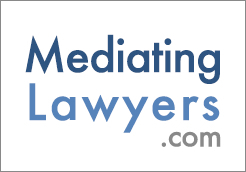 Mediators will commonly encourage an atmosphere in which participants may comfortably express themselves. The mediator cannot move forward until each participant experiences being heard. Each is supported to clearly state his or her perspective, what it is that is desired, and why. Simple expressions of perspective, however, are not enough; participants must also come away with the feeling that they have not only spoken, but have also been heard. Once they feel heard, people in conflict are willing to consider new ways of resolving the situation. In collaboration and conflict resolution, everyone can have their "truth" and still come to agreement. Participants need only agree on arrangements for the future, not the past nor the reasons why. We have overlapping interests. Parents and educators share an interest in doing what is best for the child. Typically, they also have friends and colleagues in common. Both are interested in expeditious and economic resolution. No one is an island. We are interdependent. Neither the educator nor the parent has the ability to unilaterally impose a resolution. Each must somehow work with the other. We can find easy points of agreement. Even when there are many disputed issues, there will likely still be several points of agreement. Once these points are identified, they may be used as the foundation for further discussions. So often, conflicts deteriorate into one side insisting on "our way" and the other side saying, "No, our way!" The wise mediator and collaborator observes that neither way will likely prevail, and charges participants to fashion a third way--one that builds on common and cumulative interests. In our culture during the negotiation process, we regularly cast our side as stronger, and the other side as weaker. Any resolution, however, based on one side imposing their will is not likely to endure and chances for a viable working relationship may be jeopardized. We suggest that each participant be assisted to become as capable as possible. In the interests of a resolution that will endure over time, paradoxical as it may seem, each party may reasonably endeavor to empower the other. This can be achieved by providing sound information about special education issues and by careful choice of effective discussion and negotiation approaches. Collaborative discussions are somewhat time consuming. Since we are interested in achieving ongoing relations between children, parents, and schools, the collaborative approach, although lengthy, is an investment that will pay dividends for years. A series of 2 or 3 meetings could make a world of difference in parents' perceptions of educators commitment to working jointly. Further, the greatest progress toward agreement often develops between, not at, meetings. Special Education conflict resolution often includes relationship building. HOW SHALL WE DEAL WITH EMOTIONAL/RELATIONAL ISSUES? Use a private feedback process. Participants may send personal messages to other participants, either anonymously or with identification (as the group decides). This can allow for desirable direct communication of feelings in a safe way. It can provide an effective catharsis (as well as some valuable information). Take a group "temperature." A "10" may mean the group is hot, that is, operating as well as it possibly can; a "7" may mean that members are warm (pretty good); a "3" may mean that things are "cool" and could be improved; and a "1" may mean that things are "frozen" between participants. Following the taking of group temperature, the mediator or moderator might note, "It seems the group sees itself somewhere around a "5," perhaps not as bad as we could be, but also not as good as we can be." The mediator might then ask: "What can we do to take this so-so performance and improve it to an "8," or a "9," or even a "10"? Get current. It is essential that the group separate past-focused emotional/relational difficulties from their future-focused problem solving. One way to do this is to allow participants a one-time opportunity to say whatever they would like about difficulties in the past. The only rule is not to repeat. The moderator or mediator might need to help participants express their messages. Following sharing, the moderator or mediator might remark: "Well, there have obviously been some difficulties in the past and I thank you for so clearly and honestly sharing your perceptions. My sense is also that we could agree that we would like to do things differently, better, in the future. Perhaps we might now go around the room and hear from each how, specifically, we might be able to better work together in the future." Any time additional relational difficulties arise, the moderator might suggest again "getting current" so as to separate such discussions from future problem solving. Groups, especially larger groups, benefit by deciding what their decision-making standard will be. Will it be "majority rules," a super-majority standard, some type of "consensus" or "unanimity"? Sometimes a combination of these will work. For example, a school group may adopt a consensus standard of 75% support within the school team, whereas unanimity might be required between the school team and parents. There is a saying in the field of conflict resolution that "a problem well stated is a problem half solved." Participants may, however, offer issues for discussion as accusations, such as "how to get the school to stop . . ." or "how to get the parents to do their share of . . ." It is important for group members and any facilitator to reflect any such "blame frame" statements back to participants as effective problem-solving challenges. Effective problem-solving statements may be expressed: (a) "How can we best . . . ?" or (b) "What is the best way for us to . . . ?" The key is to recognize the essence of the concern and then state that issue as one for discussion in mutualizing, affirming, problem-solving terms. For example, a special education coordinator's complaint that the parents are not there to pick their child up in a timely way might be restated as follows: "How can we best ensure that everyone performs their responsibilities under this plan in a consistent and timely way?" ANY GROUND RULES FOR DISCUSSION? We will have a full and equal opportunity to speak up on every issue presented for discussion. There is no need to rush or interrupt. We are encouraged to ask genuine "questions of clarification," avoiding "questions of attack." We will use each other's first names, not the pronouns "he" or "she." We will speak only for ourselves, not for anyone else. If something is not working for us, we will speak up. We will try to avoid establishing hard positions, expressing ourselves instead in terms of our personal interests, positive intentions, and the outcomes we would like to create. The group can then immediately begin to practice such understandings. If someone "violates" such a behavioral norm, an effective inquiry to the group might be: "Did we still want to have the understanding about using first names...?" The key here is to avoid shaming any participant. Having defined our communication process, perhaps "gotten current", identified our common ground, and developed an agenda for solving our problems, we can begin to address the issues. The following procedures leads to active participation and empowerment. Best of all, it leads to solutions that are likely to endure because they come from the participants themselves. The procedure below follows a logical progression: (a) defining interests and intentions, (b) developing options, (c) selecting arrangements, and (d) integrating and finalizing. A flip chart is handy for identifying participants' interests and intentions. And once the intentions are clear, to identify options that might satisfy one or more party. Finally, we identify arrangements that are acceptable to everyone. A mediator might ask, "On this issue, what would you like to create?" If a participant responds in positional terms, such as by saying, "We want private placement," "We want the million dollar machine," or "We want to mainstream him," it is wise to help the speaker go beneath such a positional demand to their underlying interests. The easiest way to do this is to ask, "If you had your [positional demand], what would be satisfied?" To the extent that the parties answer in terms of negative interests, such as, "We would then avoid. . ." or respond with revenge motives such as "We want more now because we've been cheated in previous years," the wise mediator asks, "Imagine that you were successful in [avoiding ___, or getting ___], what would you then have?" Through such questioning, you can help parties appreciate that positions, negative interests, and revenge motives can be understood in terms of their underlying positive intentions, for example, a desire for equal treatment, respect, appreciation, security, or the like. The theory here is that all behavior is ultimately, positively intended. As biologic beings, we are constantly seeking to improve (not to worsen) our condition. The question in collaborative discussions and conflict resolution is, specifically, what positive intentions are the participants seeking to satisfy? So reframed, collaborative conflict resolution discussions can become a joint search for mutual satisfaction. Once the interests and intentions are established, participants can then identify all options that might satisfy one or more interests. This may be done by brainstorming. Participants are encouraged to generate a full range of possible solutions, and this is done before any kind of evaluation. The resulting solution is often a "package deal," and may include components of several of the generated possibilities. One might assume that participants would make their decisions based on objective criteria, but we have found that often they do not. Instead, they select options based on subjective and idiosyncratic criteria, standards, principles, rationales, or rationalizations. The key point is that participants will only move to agreement when they can develop some explanation that will satisfy themselves and significant others. It is this ability to explain that makes the movement to agreement a safe one. In helping parties select from among options, you may encourage participants to identify any "easy agreements," with each option being considered in its own right. Also, remember that options can be broken apart and at other times combined. It may then be helpful to consider any possible "package deals," possibly a good homework exercise. Finally, participants may want to prioritize any options that remain. When the parties understand how important each option is to the other, exchanges may be stimulated. Near the end of a discussion of a topic, it may be helpful to ask, "Can we do any better in a way that may be acceptable to all?" If the answer is "yes," we may say, "Then, we are not yet done working." If the answer is "no," we can confirm as follows: "Then you are telling me that we have reached what you perceive to be the best possible mutually acceptable agreement?" With the participants' gentle head nods, "yes," we can conclude that we have, in fact, done our best. We have presented here an overview of the concepts underlying certain techniques collaborators and mediators may use to resolve conflicts between parents and educators, especially in the area of special education. We hope our suggestions will create methods of communication that honor and respect all participants. Most of all, we hope the resulting arrangements will provide maximum benefit to our children and will accurately reflect the caring support that exists on all sides. John W. Reiman, Ph.D., brings a blend of training and professional experience across the disciplines of dispute resolution, counseling, special education, and vocational rehabilitation. His continuing work as a human services practitioner (fifteen years), a teaching and research professor (Gallaudet University, Oregon State University, and Western Oregon University respectively, fourteen years), and a manager in community and academic settings (sixteen years), combine to inform a practical approach to conflict identification, intervention, and resolution. Relevant credentials include: Ph.D. in Counseling, Oregon State University (1984); more than 300 hours of general, specialized, and advanced mediation training; Practitioner Member, Academy of Family Mediators; Certified Mediator of Educational Disputes, Atlanta Justice Center; Mediator Roster, Oregon Department of Justice; Special Education Mediator Panel, Oregon Department of Education; Certified Interpreter (Comprehensive), National Registry of Interpreters for the Deaf Certified Rehabilitation Counselor, CRCC Commission; National Certified Counselor, National Board for Counselor Certification; Licensed Professional Counselor, State of Oregon; Professor (Assistant/Associate), Western Oregon University (formerly WOSC), 1986 - Present.